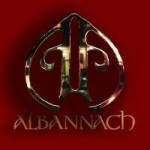 Albannach is not just another Scottish ‘Pipes & Drums’ band, our primal drumming and precise piping stirs the soul of anyone who hears them – young and old! With a champion piper, an award winning lead drummer, the unique sounds and talents of a didgeridoo player, and the tribal style bass drumming – our music isn’t for the faint of heart! 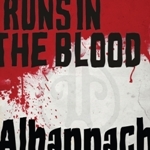 It’s aggressive, like a Celtic punch to the face! 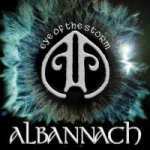 Currently, we have released three studio albums, our debut album ‘Albannach’ in 2005, ‘Eye of the Storm’ in 2007 and our latest ‘Bareknuckle Pipes & Drums’ in 2011. 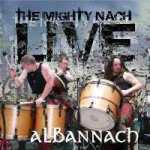 We have also released two LIVE albums ‘The Mighty Nach LIVE’ in May 2008, which was recorded during our 2007 tour both at home in Scotland, and at various venues in North America – and our 2013 release ‘Runs In The Blood’, which was recorded during our 2012 tour at various festivals in North America, and during our 2012 BRONACH tour of Scotland. ‘The Sub-Zero Sessions EP’ is 6 brand new tracks in a fairly raw format – we released this to let our fans hear what the tracks sound like before they’ve had their final ‘polishing’ in the studio. 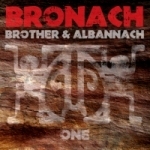 ‘Bareknuckle Pipes & Drums’ is the ‘well-polished’ and extended follow up to our EP – while ‘Runs In The Blood’ contains mostly LIVE versions of these new tracks, along with some of our popular favourites. Use the menu above for further info on our releases, track listings, and to listen to and purchase our music.